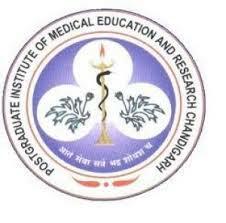 PGIMER Jobs Recruitment Notification 2019.Post Graduate Institute of Medical Education and Research PGIMER inviting applications for the positions of Data Entry Operator.Interested and Eligible candidates can apply for the positions. 1. Essential Qualifications: Intermediate or 12th Pass in Science Strea, from recognized board with DOEACC "A Level from a recognized Institute AND/OR 2 years' experience in EDP work in Government, Autonomous, PSU or any other recognized organization. 2. Salary: Consolidated Pay Rs. 18,000/- per month as per project guidelines These posts are purely on contract basis and will be extendable periodically until the project finishes. 3. Project Title: "Centre for Advanced Research"
Age: General Category: 28 Years, SC/ST: 33 Years, OBC: 31 Years. Room No. 3113 ,LeveI 3, A Block,Advanced Pediatrics Centre, PGIMER. a. List of candidates eligible for Written Screening test will be displayed ONLY ON PGIMER website on Tuesday 30thApril 2019.No queries will be entertained at the office/phone. b. Screening test will include General Knowledge, English Language and computer software/hardware related questions. c. Date Of Written Screening test: Friday, 3rd May 2019 at 11 AM. Interested candidates may submit theiöhard copy of 2-page biodata in Room No. 3113,LeveI 3, A Block,Advanced Pediatrics Centre, PGIMER by 25th April 2019; 5:00 PM. Biodata must include age, Date of birth, qualifications, experience, email address, mobile number and duly filled and signed check list (as attached).The application should also include a certificate from the recognized institute that the candidate has the speed of not less than 15,000 key depressions per hour through speed test on computer.lncomplete applications will not be considered that the candidate has the speed of not less than 15,000 key depressions per hour through speed test on computer.lncomplete applications will not be considered. Last date for submission of application: Thursday 25th ApriI 2019. Interview - Monday 6th May. Venue: Seminar room Level II A, Advanced Pediatrics Centre at 2.30 P.M. No TA/DA will be paid for the written screening test or the interview. The candidates selected will be required to join by 15th May, 2019.